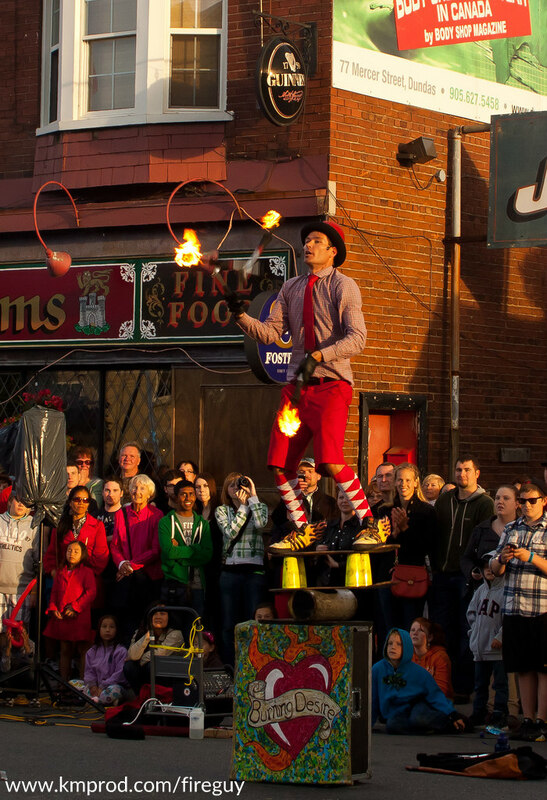 "A Burning Desire to Entertain"
Toronto-based FireGuy (a.k.a. 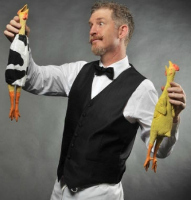 Brant Matthews) is an expert in Fire Juggling, Fire Eating, Fire Breathing and Fire Performing. 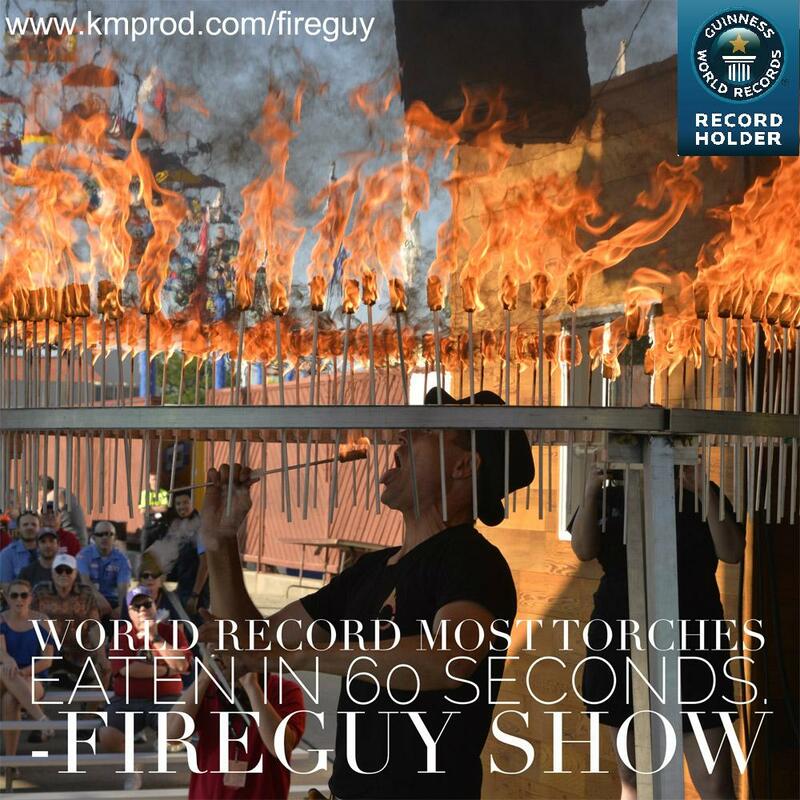 In August 2018 he also became a Guinness world record holder for the most torches "eaten" in 1 minute. 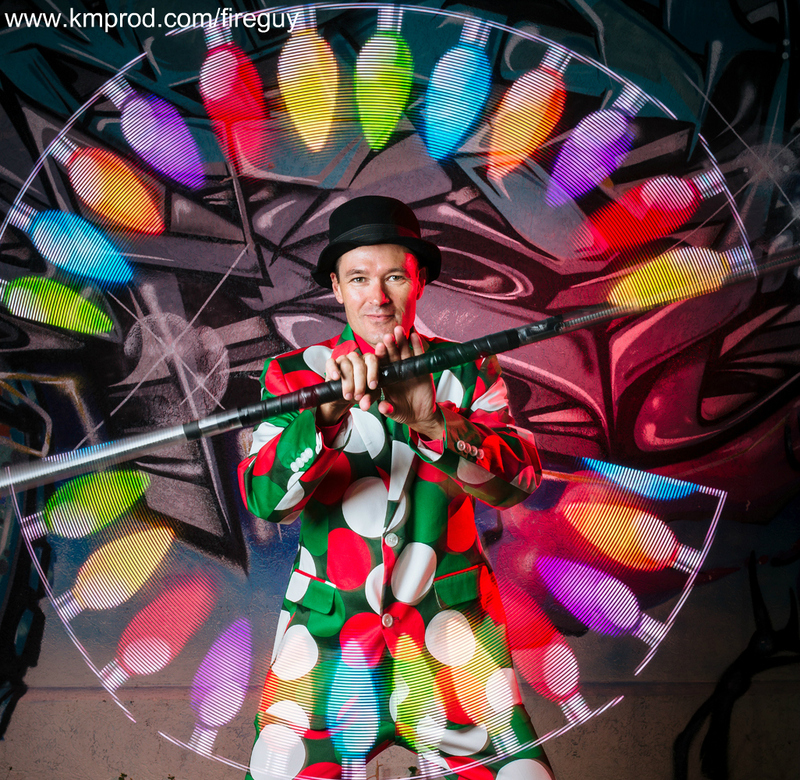 FireGuy also provides an amazing custom light show utilizing specialized L.E.D. lighting which can also incorporate a business message or your company name. 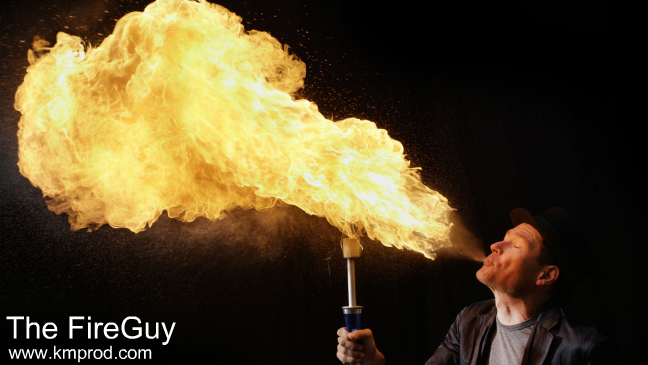 With over 20 years of experience, FireGuy is a fully insured performer and has lit up many events and warmed the hearts of thousands. 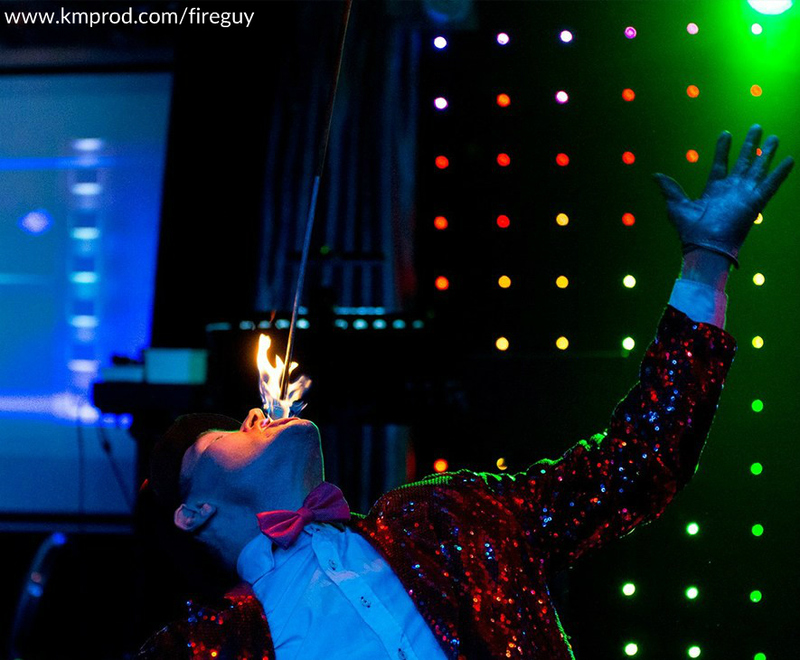 FireGuy can deliver the best of both worlds with his fully insured indoor fire and stage show. 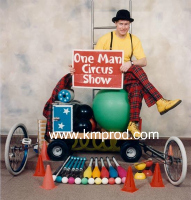 Festivals, weddings, corporate & special events as well as stage shows of all kinds are sensitive environments that require a true professional. Show lengths can be anywhere from 5 minutes to an hour. Each venue is different and requires special consideration. 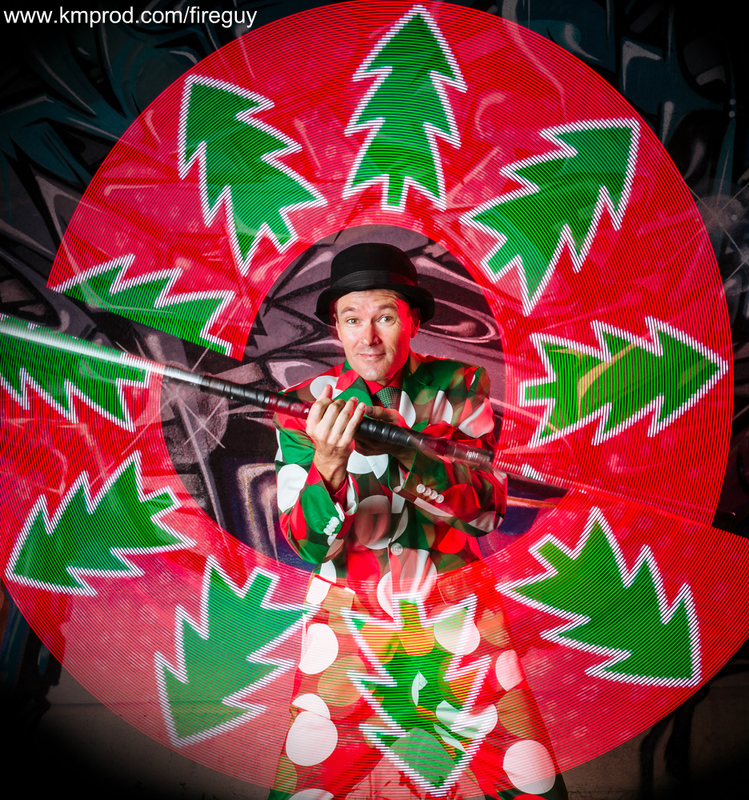 As well as being an expert in fire performances, FireGuy has a dazzling display of light tricks. 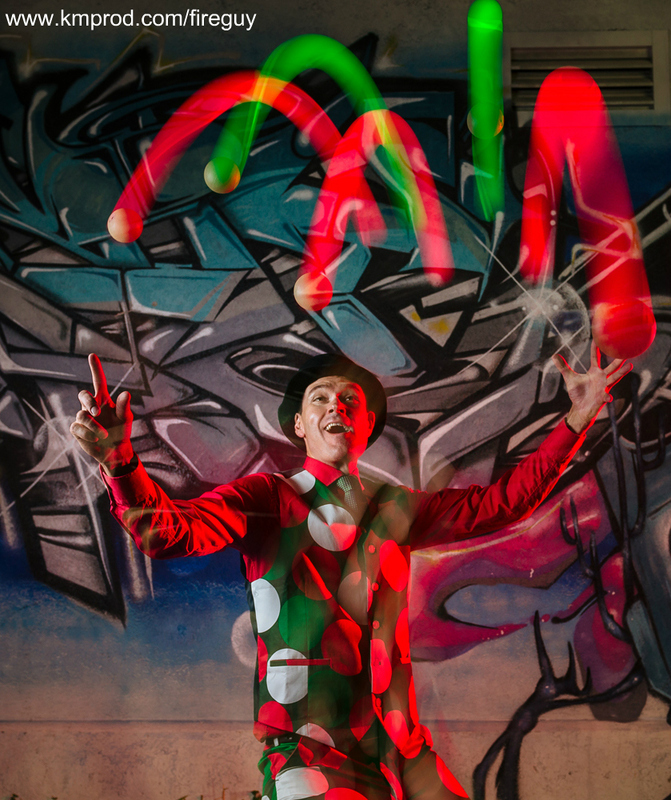 Every juggling tool that can be on fire is also able to be lit up in lights of all colors. Unique Branding Opportunities! The LED Light Wands are the latest breakthrough in light performing. Your images or logos can be programmed into them for a fresh new approach to theme or branding a performance. FireGuy has done light shows for Bacardi, Air Canada, The World Cup of Hockey, Hilton, Coors Light and many more. All a Board! All a Board! 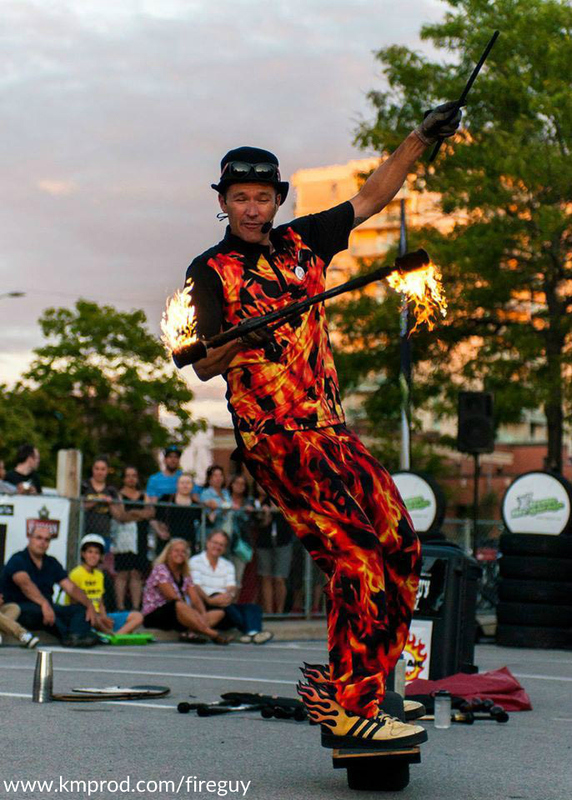 The FireGuy Extreme Skateboard Show is rolling from town to town combining Skateboard Stunts with Circus tricks. He calls it “Skatertainment!” Fire. Juggling. Skateboards. Any Questions? FireGuy even juggles fire while riding the newest motorized skateboards. You get fire juggling on a skateboard and even on two skateboards. FireGuy’s skateboard finale has him jumping off a ramp through a flaming star. FireGuy has a passion for skateboarding since he started pushing in 1986. He even is able to do shows in skate parks and run workshops. 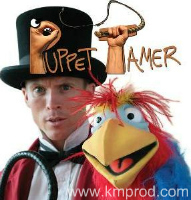 The FireGuy is represented by K&M Productions. For more information, fees, date availability and booking The FireGuy contact us.